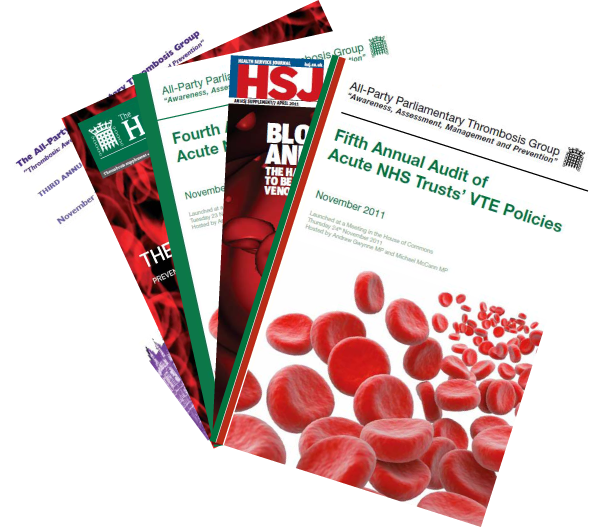 Since its inception, the APPTG has produced annual reports to support the implementation of best practice in VTE prevention in the NHS. Drawing on the evidence gathered by our Annual Surveys of Acute Trusts and CCGs, our reports provide a comprehensive overview of progress in implementing best practice; identify areas for future improvement; and offer recommendations on what more can be done to ensure that NHS services are underpinned by high quality VTE prevention and management. The Trust specific data gathered to inform the Annual Review is used to update VTEscorecard.com, the APPTG’s e-scorecard atlas. This online tool allows Trusts to benchmark their performance against others in England, by searching for data corresponding to a series of key VTE prevention indicators. NICE Guideline 92 should be updated to set national standards for reducing the risk of VTE in cancer patients, including those treated as outpatients. There should be specific recognition of the VTE risk in Chemotherapy Clinical Reference Group (CRG) service specifications for high risk cancers, with a recommendation for mandatory risk assessment to be undertaken. Hospital Trusts should develop specific written policies for the management of suspected VTE in patients receiving chemotherapy. Hospital Trusts should note in their hospital associated thrombosis root cause analysis reports whether the patient had a diagnosis of cancer or was undergoing cancer treatment. NHS England should mandate that information on the risk of VTE is provided to patients diagnosed with cancer and produce a template patient information leaflet which hospitals can customise. Cancer charities, particularly those focused on tumour types with a higher VTE risk, should develop their own written information for patients on managing their risk of a blood clot. VTE prevention and management should be included on the curriculum for both pre and post registration oncology training, as well as in the training for chemotherapy and cancer clinical nurse specialists. 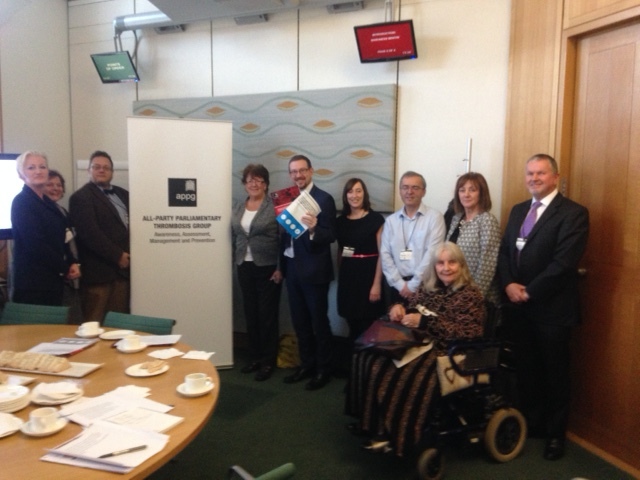 The APPTG is delighted to support further publications aimed at Parliamentarians, clinicians and health commissioners, to raise awareness of specific VTE issues, and support the delivery of the National VTE Prevention Programme.